Billy Tea Bush Safaris offers 2 day tours for a discounted price. Visit Daintree & Cape Tribulation in one day and Chillagoe and Aboriginal Rock Art in the Outback on a second day. Chillagoe Cave tour - National Park Ranger guided. The fossilized remains of the ancient coral reefs with hidden limestone labyrinths give a portal to a lost world. Millions of years in the making, the limestone formations are nothing short of spectacular. Emmagen Freshwater Creek - You have the opportunity to take a refreshing swim. Look for fish and turtles in the creek, butterflies and exotic birds in the trees and often Goannas on the forest floor. Cape Tribulation Beach there is a little time to swim (seasonal) or stroll along the beach and boardwalk where the Rainforest meets the Reef. Ultimate day in the Outback! Board the custom built 4WD vehicle and travel through wetlands and agriculturally rich and fertile tablelands, before crossing over the Great Divide and into the Western watershed. Take a step back in time as you travel through historical towns such as Dimbulah. Rolling hills rich in minerals eventually give way to towering limestone karsts scattered around Chillagoe Township. Aussie style morning tea at Dimbulah. Copper smelters dominate the western horizon at Chillagoe. Wonderful lunch at a genuine historical Australian Outback Pub. Spectacular guided Chillagoe Cave tour. 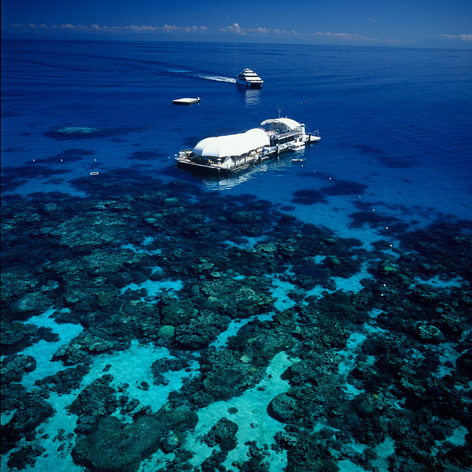 See the fossilized remains of the ancient coral reefs some 400-420 million years old and the hidden limestone labyrinths. Visit Aboriginal Rock Art and Balancing Rock. If time permits visit a unique gift shop. Tropical fruit tasting platter for afternoon tea. Visit Granite Gorge and hand feed wallabies. 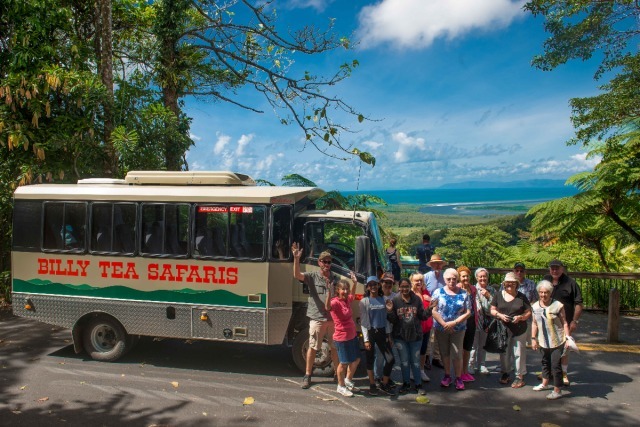 Billy Tea Safaris is a small locally owned tour operator, which operates small personalised tours with custom built 4WD vehicles, and your naturalist guides have extensive knowledge of flora, fauna, history of the area and aboriginal culture, which will ensure your day will be a memory of a life time. - A reasonable level of fitness is required for this tour as there are steps into the caves. - Please ensure that you wear appropriate closed in footwear for the cave tour. No thongs or high heels on this tour. - The tour may be closed or itinerary changed due to the wet season where conditions may close roads and access to the caves.